Good skin care — including sun protection and gentle cleansing — can keep your skin healthy and glowing for years to come. 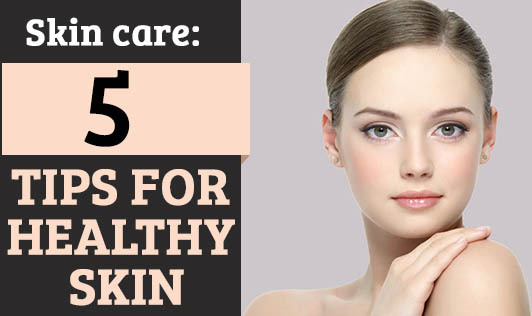 Here are five tips for healthy skin. Smoking makes your skin look older and contributes to wrinkles. Smoking narrows the tiny blood vessels in the outermost layers of skin, which decreases blood flow. This depletes the skin of oxygen and nutrients that are important to skin health. Smoking also damages collagen and elastin — the fibers that give your skin strength and elasticity. In addition, the repetitive facial expressions you make when smoking — such as pursing your lips when inhaling and squinting your eyes to keep out smoke — can contribute to wrinkles. If you smoke, the best way to protect your skin is to quit. Ask your doctor for tips or treatments to help you stop smoking.